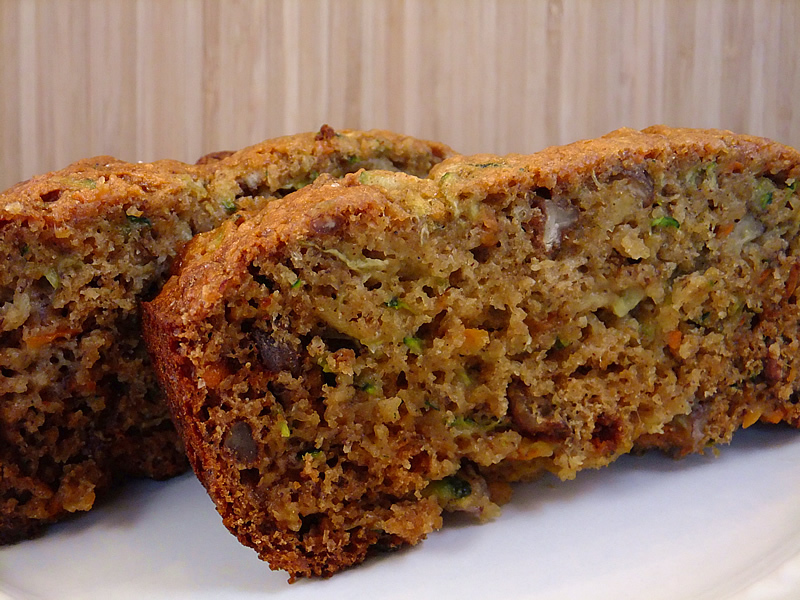 Love the addition of carrots and zucchini to a banana bread. Hi sounds great can’t wait to make this! You may already do this but we take our unused banana’s and put them in the freezer. The peel turns black but when thawed the banana is soft and perfect to use for baking! Thanks Shari! I do freeze them but I usually peel them and stick them in a freezer bag. Maybe I can should skip that step. I love this! I’ve made banana bread, I’ve made zucchini bread and I’ve made carrot bread, but I never thought to combine the three together. No added butter or oil makes this a perfect everyday bread. I can’t wait to make it! What a great recipe, no oil !!! Count me as a real “health nut” then! I love the flecks of colour that show up in this recipe. Just brings a whole new sense of character to this dish! Beautiful! I love banana bread! I probably ought to have a healthy version, thanks for sharing this! Yap, I also have too many bananas that we don’t finish.. But every week we still keep buying them 🙂 Nice bread. I always have bananas on my counter too! you know fruit with lots of vitamin, pretty cheap and we could combine it on many dish we want to make, like your fabulous banana bread! 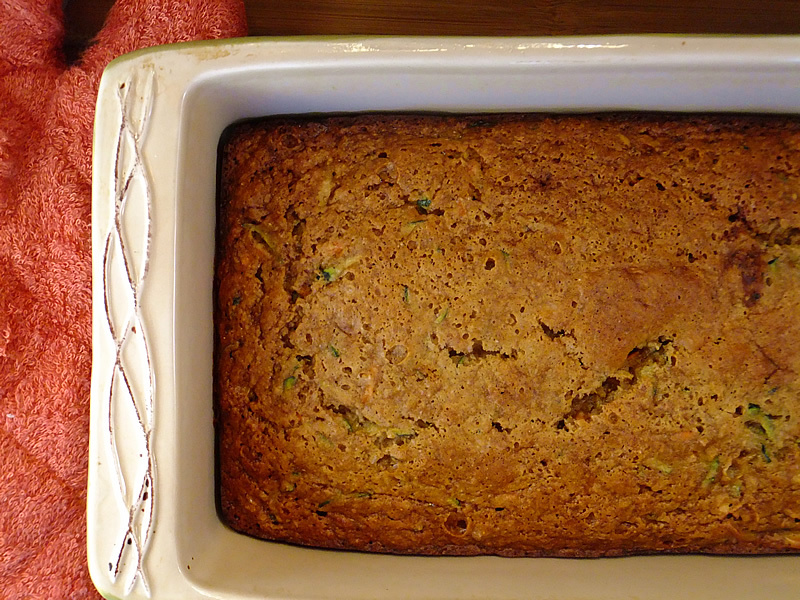 I love that you add carrots and zucchini to this recipe.Always nice to have an extra bit of veggies in something sweet. Looks great! Love the title. Looks great, Buzzed ya. Thanks everyone! Let me know how it works out if you try it. I will Sarah, they sound fabulous! Lovely! I love banana bread, but bananas never go to waste in my house (too addicted), so I have to plan to age them 😉 Love all the healthy twists on this, very nice! It is definitely NOT just you! Black bananas crowd my freezer. It’s an addiction. I just can’t stop! I’ve never seen a bread quite like this–no butter or oil. It looks great and, yes, healthy!